The flow of viscous, incompressible and electrically conducting fluid past and impermeable cylinder present in a cylindrical porous region is considered for the steady case in presence of magnetic field applied in vertical direction. The flow is governed by modified Brinkman and Stokes equations in porous and nonporous regions, respectively. The matching boundary conditions are used at the interface with no-slip condition at the solid surface and uniform velocity away from the nonporous region. This boundary layered problem is solved analytically and obtained solutions in terms of modified Bessel’s functions. 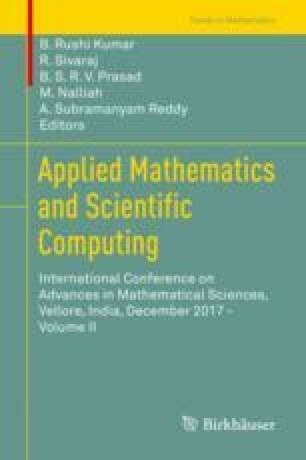 The authors are grateful to research centers Vemana IT, M.S.R.I.T., and Atria IT, Bangalore, India, for their support and encouragement to carry out our research work.